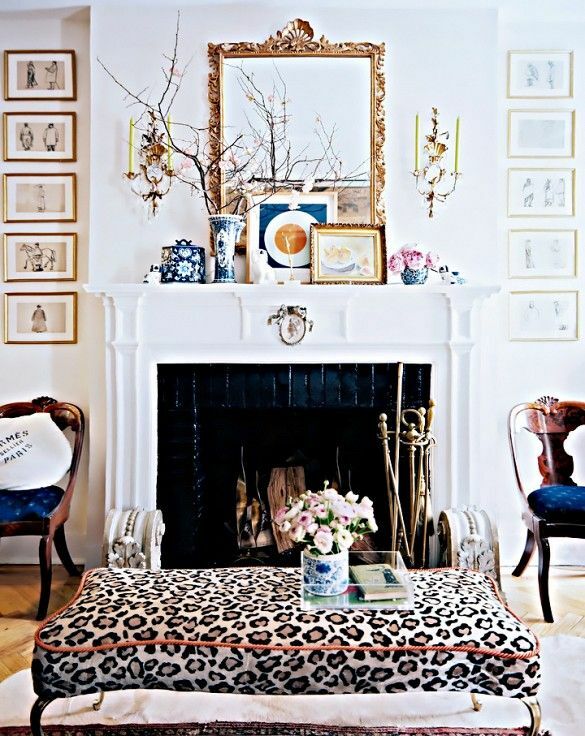 I have always loved a little bit of leopard in home decor and fashion. Twice today I saw leopard that really inspired me.....This coat that Giovanna Battaglia is wearing at fashion week in Paris is just stunning and so is the ottoman in the first photo...so gorgeous. In home decor it needs to be subtle and the same in fashion except when you have a coat or full dress it can be an amazing look.